I’ve learned a lot of things about body weight training over the years, some of which I wish I knew a long time ago. If I knew even half of what I know now, I would have gained a lot more muscle and strength without enduring so much stress. The good news is that I know these things now, and I wanted to share 3 of the biggest lessons I’ve learned about bodyweight training here. Maybe they can help you achieve what you want today, instead of later in the future. I’ve suffered joint pain throughout my body since I was 15. Only now, as I approach 40, am I pain-free and it’s made a massive difference in how I look, feel and perform. Part of the reason for my chronic joint pain was the tendency to just accept it as part of being active and getting older. I iced my knees, used Tiger Balm heated rub and found other ways to deal with the pain. I thought that was my only option. I wish I knew then that I should have been dealing with the pain to eliminate it entirely. The other mistake I made was blaming the joint pain on certain exercises. I blamed deep squats for knee pain, shoulder pain on dips and elbow pain on pull-ups. I thought the exercise was causing the problem but instead, it was just exposing the real issue. When I avoided the exercise, I was both throwing away a perfectly good exercise and not addressing the real cause of the problem. It was only years later, that I was able to get some hands-on professional help which helped me become pain-free. So if you’re suffering from joint pain, get it checked out by a healthcare professional and create a plan to eliminate it for good. I used to do the basic exercises like pull-ups and squats one particular way. Part of this was due to following the step-by-step methods in Convict Conditioning and I would only do one step. This row variation is very effective, but that doesn’t mean it’s the only row variation I do. 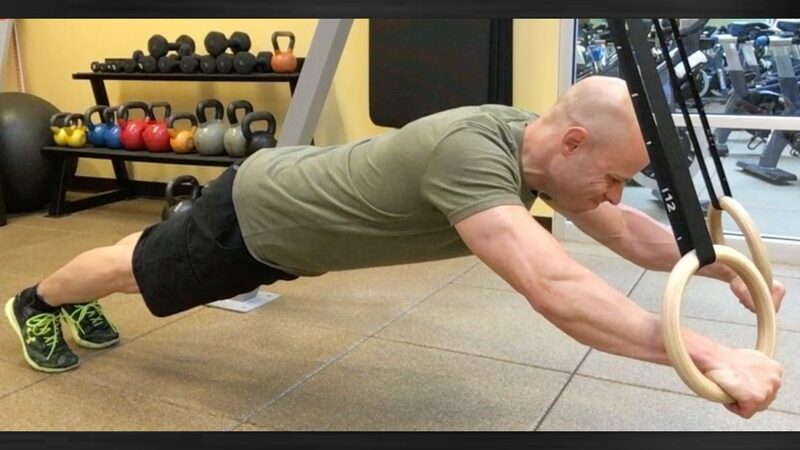 Practicing one type of push-up is like a weight lifter only lifting one amount of weight. While you’ll probably focus most of your time and energy on a single type of exercise, there’s a lot of value in using easier and harder variations. Easier versions are good for warming up to the progression you’re working on. They are also good for working on technique and skill. Regressions are also good for drop sets which can help bring the muscles to a higher state of fatigue and build more muscle. 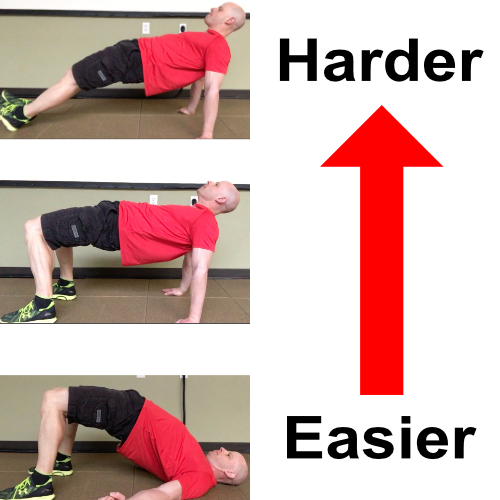 All three of these bridge exercises can bring some value to your training. Don’t be afraid to explore harder variations of the exercises you’re doing. You can experiment with harder progressions here and there to learn and get a feel for harder moves. Just be sure to be safe and be in control with advanced exercises. Use a spotter if you’re jumping up into a handstand or hang from a bar that’s not too far off the floor so you don’t slip and fall if you can’t hang on. I can’t do a full one arm push-up just yet, but I can explore what it’s like to hold myself up on one arm. I spent far too much time working around my weaknesses when I should have been addressing them. I made the usual excuses about why I didn’t have the balance or flexibility to do single leg squats. 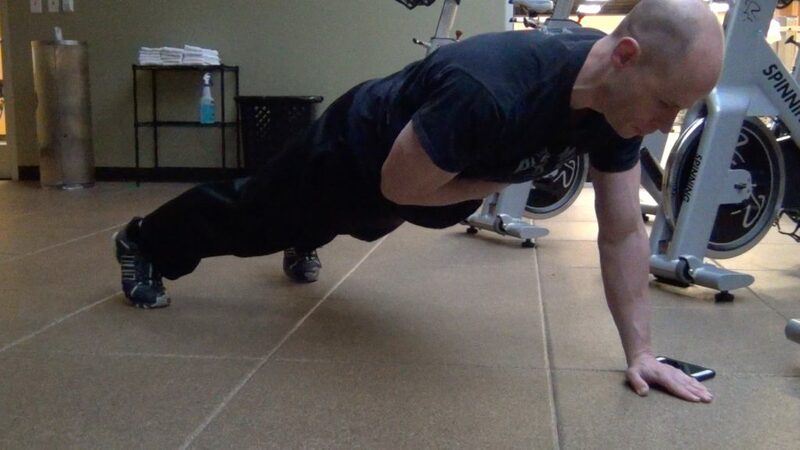 I also used equipment like ab slings to work around a weak grip and push-up handles to work around stiff wrists. There’s nothing wrong with using an easier technique or piece of equipment to work with a weakness. Sometimes, it’s ideal to back off and regress how you do an exercise. The key is your attitude regarding the regression. I made the mistake of accepting my weakness as I told myself I “needed’ to do the easier exercise because of things I couldn’t change. As it turned out, I could improve my hip stability, grip, strength, and wrist mobility years ago. I was just too weak willed to make it happen. My weak grip ceased to be a problem once I decided to address it rather than work around it. Fortunately, I was able to finally address those weaknesses, but only as circumstances required me to. 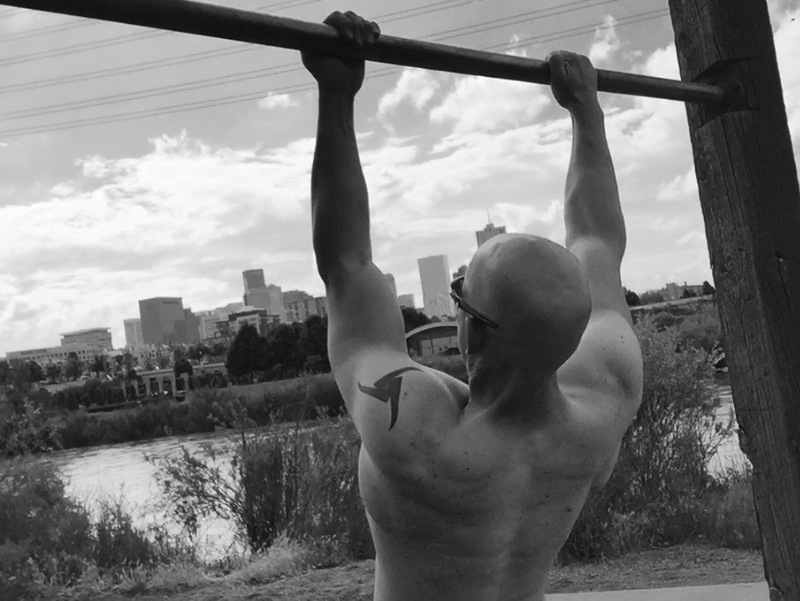 I needed to improve hip mobility to deal with knee pain, and my grip strength was holding me back in the Century test for the Progressive Calisthenics Certification. I also needed to strengthen my wrists for bridges and hand stands. My only regret was I spent too much time working around those weaknesses when I could have dealt with them and fixed them a lot sooner. All progress comes from learning and sometimes the best way to learn is through making mistakes. I just hope you can learn from these mistakes I made so you can avoid making them yourself.